Referred to as "Woodstock of the 80s", the Us Festival was iconic with over 2 million attendees. Even for those of us of concert-going age in the early 1980s, the US Festival remains semi-forgotten. 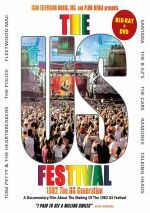 For a look back at that attempt to revive the Woodstock spirit, we go to a 2018 documentary called US Festival: 1982 The US Generation. Generation follows the standard template, as it mixes archival footage with modern interviews. In the latter category, we hear from Apple co-founder/US Festival co-founder Steve Wozniak, former Apple developer Andy Herzfeld, UNUSON Corp. president Dr. Peter Ellis, US Festival attorney/co-founder John Collins, UNUSON Corp. CFO Carlos Harvey, former booking agents Gregg W. Perloff and Sherry Wasserman, manager Steve Power, marketer Peter Block, and musicians Mick Fleetwood, Stewart Copeland, Marky Ramone, Kate Pierson, Mickey Hart, Eddie Money, and Joe Sharino. The documentary traces the festival�s origins and early developments. We hear how Wozniak and company chose/pursued various musical artists as well as their experiences at the festival and related domains. Of course, some musical performances come along for the ride, so we hear bits of the shows played by the Ramones, Gang of Four, English Beat, B-52s, Talking Heads, Police, Dave Edmunds, Eddie Money, Cars, Santana, Tom Petty and the Heartbreakers, Grateful Dead, Jerry Jeff Walker, Jimmy Buffett, and Fleetwood Mac. Don�t expect many full songs, though. We do get some complete � or nearly complete - tracks, but a lot of the performers bring us short excerpts. Some last a mere 15-20 seconds. Given the size and nature of the US Festival, there�s a very interesting story to be told. Millionaire tech developer decides he has too much money so he throws a massive party � sounds like the subject of a great tale, right? Maybe Generation exploits the source as well as possible, but to me, the film feels like a missed opportunity, as it brings us a less than coherent take on the subject matter. Despite access to many of those closely involved in the project, the film comes across like a loose �event journal� more than a well-developed documentary. Some of this stems from the project�s scattered nature, as it leaps from one topic to another without much apparent logic. Granted, I understand some of this, as I get the choice to intersperse information about event planning with live footage. This detracts from Generation�s chronology, but it also allows viewers some variety. If taken in order, the film would backload with performances, so even though it can feel a little confusing to jump in and out from �prep� to �event�, I get it. Nonetheless, Generation still seems haphazardly edited. It includes a lot of information but it doesn�t attempt any form of clear throughline, so it tends to undercut the quality of the material it boasts. Maybe Generation should�ve gone with a chronological narrative after all. While I understand the desire to �spice up� the proceedings and avoid a solid hour of little more than talking heads before we see Talking Heads, I think the jumpy nature of the information becomes a real distraction. We learn a fair amount about the project and the performances, but the lack of coherence damages the impact of the material. The information doesn�t stick like it should because it feels thrown at us randomly. Generation makes no reference whatsoever to the Memorial Day Weekend 1983 iteration of the US Festival. Director Glenn Aveni already created a program to cover those shows, so I guess that�s why he avoids it here, but it still seems odd Generation doesn�t even bother to acknowledge this �sequel� festival. Given that it brings attention to a semi-forgotten event, Generation still musters attention from music fans. 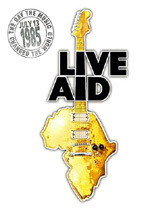 It�s a frustrating documentary but I�m glad I saw it. US Festival: 1982 The US Generation appears in an aspect ratio of approximately 1.78:1 on this Blu-ray Disc. A mix of 1980s video and modern interviews, the overall quality seemed fairly mediocre. As always, I viewed the old material and the new shots with different expectations. The archival stuff looked about the way I�d expect circa 1982 videotape to appear: fairly soft and muddy. Closeups looked acceptable, but anything wider turned fuzzy. Colors were mushy and blacks seemed inky. Some video interference/artifacts also appeared. Overall, the new footage offered fairly good visuals. Sharpness wasn�t great, as the interviews could be slightly soft, but the focus on closeup �talking head� shots meant delineation was fine. Colors were reasonably natural, and no notable defects affected the new footage. Blacks and shadows followed suit, as they seemed perfectly positive. Overall, the visuals were adequate given the program�s parameters. As for the film�s Dolby Digital 2.0 soundtrack, it seemed lackluster mainly due to bland reproduction of the music. The 1982 festival footage showed decent clarity but the songs lacked real range and came across as somewhat flat and tepid. Dialogue was the other major component, as effects played no real role. The interviews showed positive accuracy and intelligibility, without edginess or concerns. The soundscape brought us fairly good stereo presence for the music. The songs spread across the front in a more than capable manner, so that side of things worked fine. The lack of punch to the musical reproduction made this a bland track, though. A few extras appear, and we find an audio commentary from director Glenn Aveni. He brings us a running, screen-specific look at aspects of the US Festival and the creation of this documentary. Expect little from this boring commentary. Aveni speaks fairly infrequently, and even when he remarks, he doesn�t tell us a lot that seems interesting. We get maybe 10 minutes of decent information in this weak track. Three extended interviews appear, as we get segments with co-founder Steve Wozniak (16:28) and musicians Mick Fleetwood (6:22) and Stewart Copeland (19:29). Wozniak offers details about the festival�s execution, whereas Copeland and Fleetwood discuss their experiences at the event. All add some useful new information, though inevitably some clips from the final film repeat. A second disc provides a DVD copy of Generation. It includes the same extras as the Blu-ray. More than 35 years after its genesis, we get a look at a semi-famous musical event via US Festival: 1982 The US Generation. Sporadically compelling, the documentary offers some good tidbits but its inconsistent attempts at narrative development make it frustrating. The Blu-ray brings decent picture and audio along with a few supplements. Music fans will get some value from Generation but it ultimately disappoints.